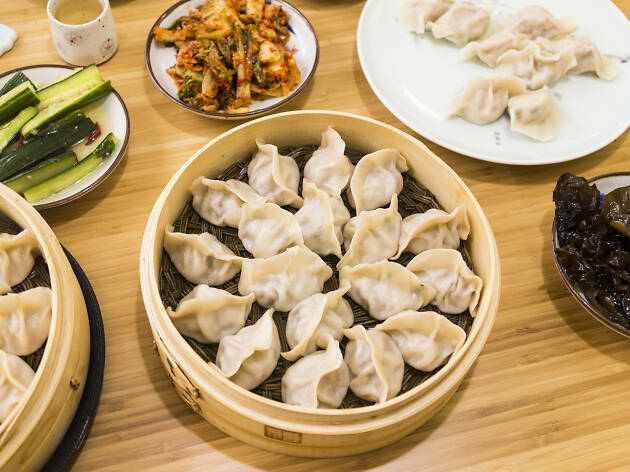 Guests can expect the same soupy dumplings that are served at the Chinatown location, though there will be fewer options to keep things moving. Manger Eric Zhou says the Loop shop will offer six rotating choices that include beef, chicken, lamb, pork, seafood and vegetable. 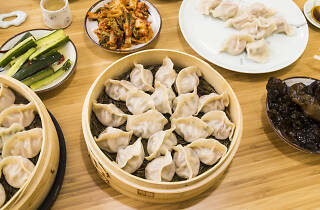 Dumplings are served steamed or pan-fried. Though JIAO's menu isn't available just yet, diners can get a feel for the possibilities by checking out QXY's exhaustive selection of existing creations. Zhou says the Loop location will also serve Chinese appetizers, like braised beef with brown sauce and spicy seaweed salad, as well as "Skyline" tea that's topped with a milky float. "Combining Chinese style with American fast-food culture is not an easy thing, but we did it," Zhou says, explaining the painstaking detail that was put into the forthcoming Loop restaurant's interior. Take a look at the renderings below, and start preparing your lunchtime routine for an infusion of handmade dumplings.